Tom Thomson is regarded as one of Canada’s greatest artists. Almost 100 years after his mysterious and untimely death, Thomson’s evocative paintings of the twisted pines, icy lakes and barren bedrock of Algonquin Park are embedded in the Canadian consciousness as definitive images of our rugged and unforgiving landscape. Despite Thomson’s cultural stature, the gallery dedicated to his work, the Tom Thomson Gallery in Owen Sound, Ontario, is a decidedly low-key adjunct to the town’s library. 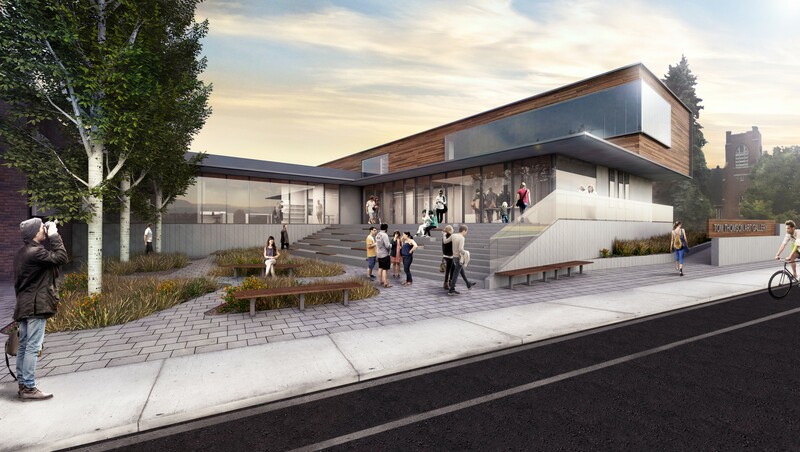 To help the gallery advance its mission as a regional art centre and a national cultural institution, we collaborated with staff and stakeholders to develop a feasibility study and conceptual design that more than doubles the size of the existing facility to 31,000 square feet. 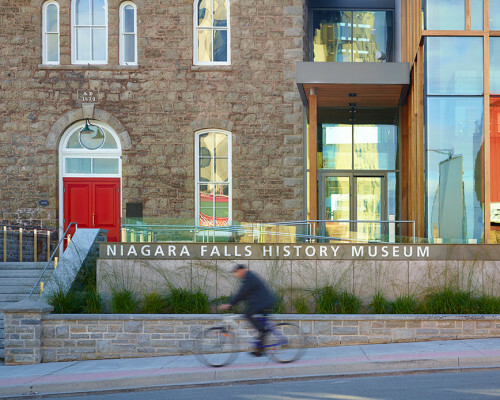 To strengthen the gallery’s public presence we relocated the main entrance to the new extension, wrapping the lobby in floor-to-ceiling glass and engaging passers-by with views to the galleries beyond. 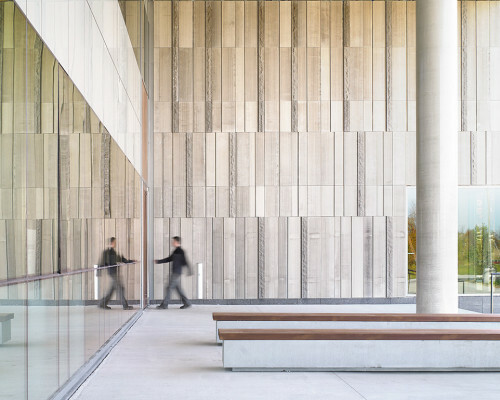 A low front wall and broad entrance steps of rough Owen Sound limestone visually ground the building to the land and frame a sheltered courtyard with naturalized landscaping, the cluster of hardy birch trees representing a favourite Thomson subject.